A 5 min walk from our B & B in the main square of the city you will find Palazzo Ducale, home to numerous exhibitions as well as the palace itself of great artistic interest. 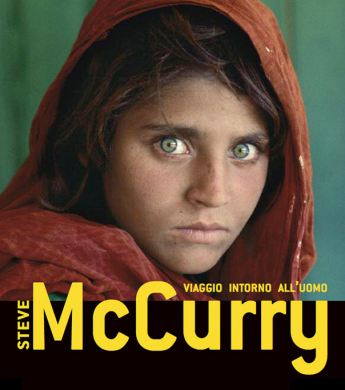 In Piazza Matteotti in front of the main entrance of the building is a very interesting exhibition of one of the most intense artists of photography Steve McCurry. Travel around the man. Over 200 large-format photographs make up the anthology that collects the most ‘famous shots of the last 30 years of the photographer in Philadelphia. Intense portraits, landscapes, streets that are lost horizon combine to create an exhibition rich and full of charm. In addition to shots that have made him famous all over the world – such as the portrait of the Afghan girl featured on the cover of “National Geographic” in June 1985 – will present the most recent work along with some unreleased never exposed. We hope you’ll be satisfied as of this beautiful city in all its forms and staying in our Bed & Breakfast you can fully enjoy your stay in our company.